If you are someone who enjoys traveling, especially taking road trips, then you may have looked into your options for places to stay on the road, only to find that a lot of these places are very expensive. Staying in a hotel for every night of a long trip can really drive costs up, and that doesn’t include the cost of eating, gas, and tourist attractions you may want to visit. The good news is, you don’t necessarily have to stay in a hotel in order to have a good time. 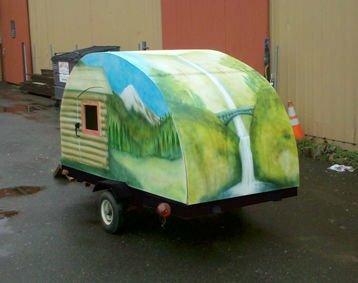 If you can’t afford an RV, try looking into getting a teardrop trailer, or in this case, building your very own. It is a bit time-consuming and difficult but it will make your travels a lot more convenient. You can even make it so that it suits your needs and the needs of your family. Here are different ideas for trailers that you can build. We also include some futuristic designs at the bottom of the page- scroll down to see! Undoubtedly, a camper is expensive to build. However, this author found a way to build one that cost them $500. First, design it in the way you want to, and then cut out the sides. Make the roof, the galley, and the doors. Follow the instructions carefully to make sure you do everything correctly. Once you have finished, you can choose to paint it the way you’d like. 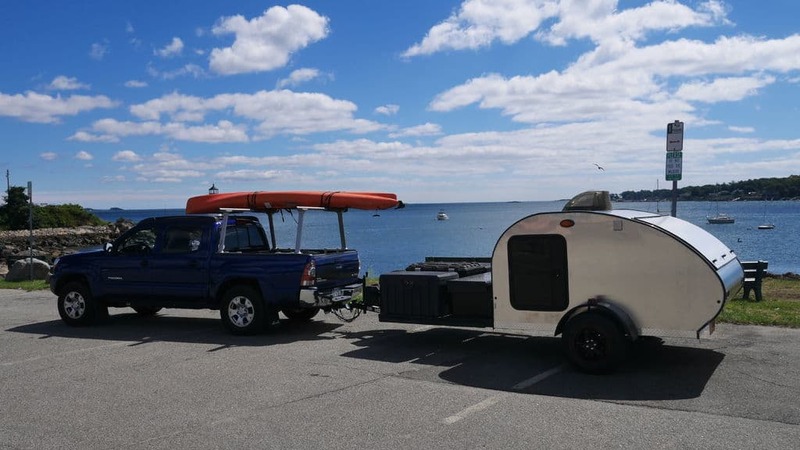 This is a smaller version of the camper that can easily be attached to the back of your car and can carry some of your belongings that won’t go in your trunk. The person who introduced this idea used the mini trailer to carry their costumes and an ice chest. You can follow the directions as this person listed to create a smaller version. You can use a wooden stain or paint to decorate the outside as you want, too! Using aluminum as a material results in something easier to build and makes your trailer easier to tow. This model also included internal electricity, and it even allowed for storage for belongings such as plates and napkins, making it perfect for a road trip. This is a great option if you want something easier to make. 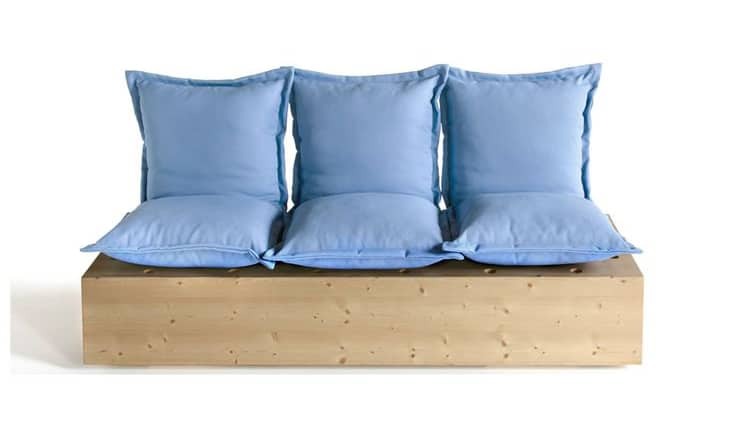 Recycled materials are not only good for the environment, but will save you some money in the process. The individual who wrote the article for recycled materials said that they only spent $50 on the base of the camper. The rest of the process is similar to others- you just are using materials that you may already have lying around. 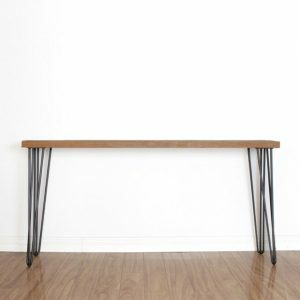 With this version, you will be using wood that you didn’t need for another project. Or, if you know someone who is a construction worker, or otherwise may have wood that they don’t need, you might be able to use it, too. This model can fit a queen-sized mattress, and while it is rather small, it also has room for some storage and a skylight. But, it didn’t have room for a small kitchen, so if that’s something that is important for you, then you may want to reconsider. In this project, you will be using cedar beams to come up with the final result. This article provides step-by-step instructions, including photographs, to make your job a lot more simple. 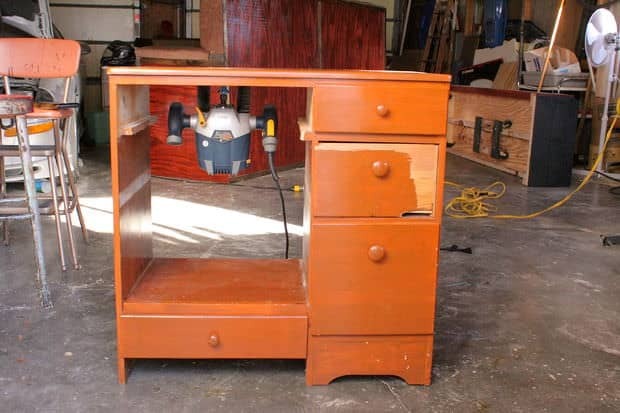 This model also was able to fit a window and a tri-fold mattress. Just like most campers, the back of it has a small kitchenette for your everyday meals, and storage for dishes, cups, forks, and more. While the author states several times that this was not something simple to build, his instructions are good to follow and he assures that it is something absolutely worth spending the time on. It’s also weatherproof. Try it out! Now this one is definitely perfect for those who plan to travel long-term, especially with family, as well as those who are incredibly handy. The author of the article stated that they wanted something large enough that would allow the entire family to feel comfortable in the case of bad weather. They also needed something insulated, and that would prevent too much outside noise from coming in. It also provides electricity, good air flow, space for cooking, food, water, good doors, is weatherproof, and is very sturdy. While this is undoubtedly not the cheapest option, it will last you a very long time and will make your road trips a lot more fun! 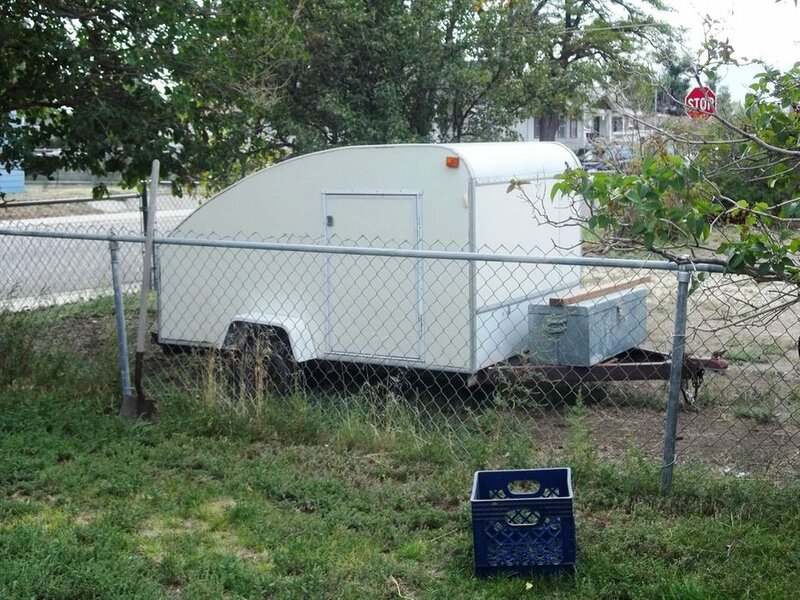 For this particular example, the creator bought a utility trailer for the base and three pieces of plywood for the sides. They also used a CNC machine to cut out the wall pieces. So, if you have a CNC machine or know someone who does, this will be suitable for you. This person also used a program called SketchUp in order to come up with a design and template of what they wanted for their trailer. Decorate the interior and exterior as you wish and you’re good to go! 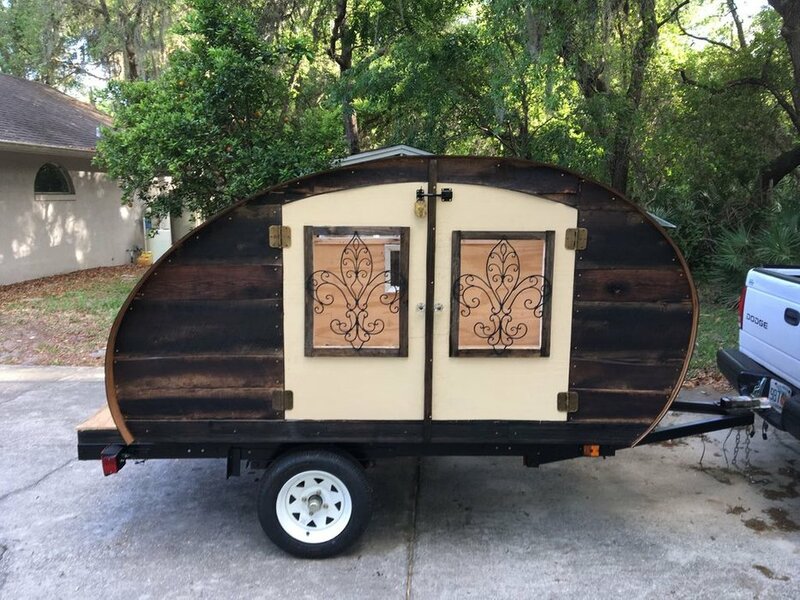 This project involved purchasing an old trailer. The author described steampunk as being a “steam-powered technology of the 19th century into present day and blends it with design and fashion that draws on an industrial aesthetic.” If building your own from scratch is too difficult or time-consuming for you, then this might be the best option. This particular model had a rotting ceiling and other issues, and the individual remodeled the entire exterior of it. But the problems that the camper will have ultimately depend on the one you buy. You might have to do some research as far as how to fix certain issues. 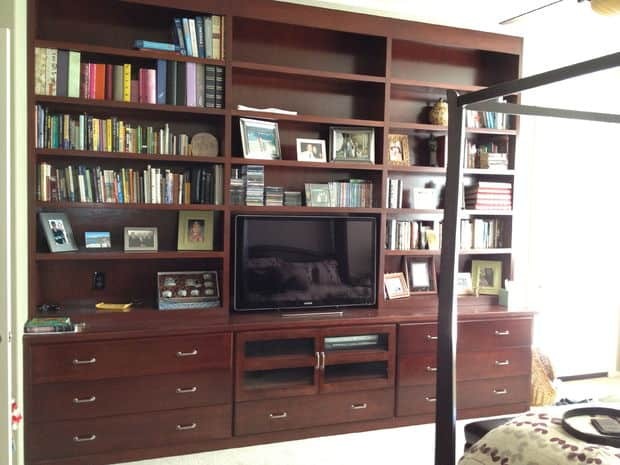 But in any case, this is perfect if you’re into remodeling and gives you the opportunity to create something that suits your tastes. This one is especially good for those who would be traveling with family, four people in particular. And, according to the author, this is a great option if you’re on a budget. He gives plenty of resources that will help you to create your own design, and then he goes on to give a detailed description of the building process and special tips to make the process go smoother. He also reflects on his own mistakes so that you can avoid them. This is a good guide, especially for someone who has never built something like this before. Again, this is not the easiest and cheapest thing to do. But it is one that will be beneficial to you and your family in the long run, especially if you like to spend a lot of time on the road. You are given the flexibility of designing your trailer as you’d like and including or excluding whatever suits your needs. 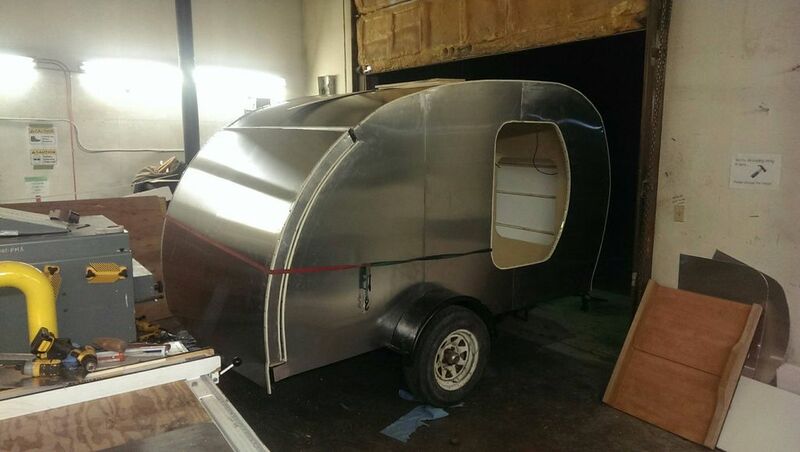 You could even all pitch in and help one another to build the teardrop trailer of your dreams! Getting ready for a camp trip can be both time consuming and costly. Especially, if you want to travel in the most convenient way possible. 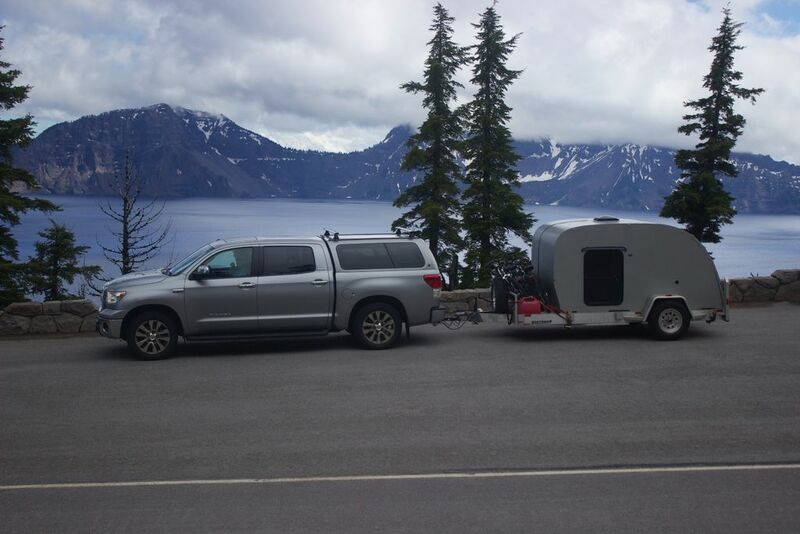 Based on the budget that you have to travel with, you may want to travel with a trailer to carry the items that you need and have a place to sleep in while on the road. 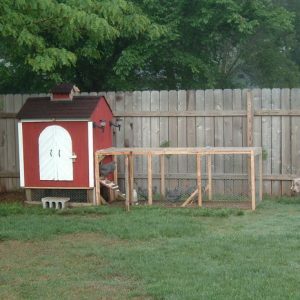 However, if you are like most people, you may not have the funds available for an expensive house trailer. When this is the case, you can utilize other alternatives that are much more affordable to you. Hence, this is why some people recommend taking advantage of a camper trailer. 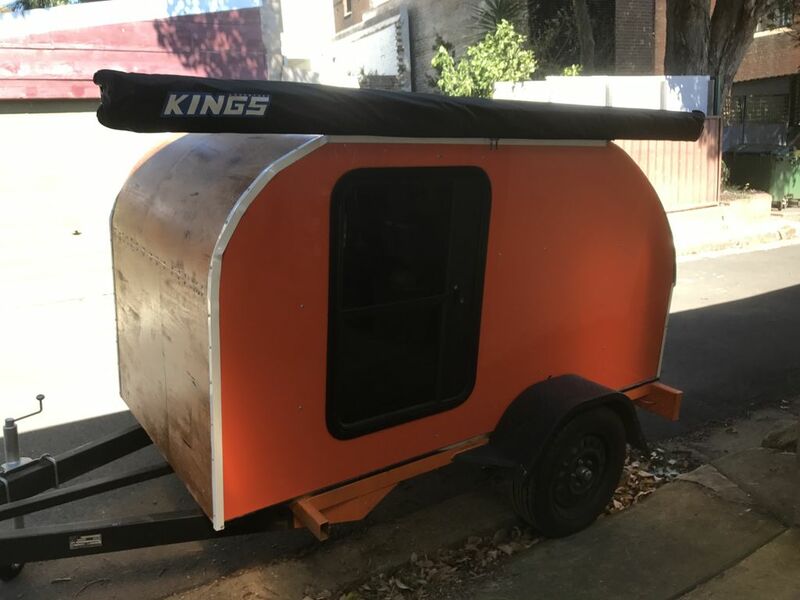 Having said this, here are a few things that you need to know about the camper trailer along with some associated information that can assist you with making a well-informed decision. Unlike the traditional house trailer that you see on the road while you are driving too, the camper trailer is usually a lot smaller. Also, just like its name, the size is small because they resemble the shape of a teardrop. Hence, it can be described as a small mobile transporter that can be pulled by virtually any sized vehicle. In fact, some people prefer this type of small mobile transporter because it is not only convenient and less expensive but also lightweight enough to transport with you on a camping trip. If you are considering traveling with a camper trailer on your next camping trip, you may want to know what type of investment you need for this kind of purchase. First of all, it is important to note that the prices for these trailers can vary greatly from one style and maker to another. Expedition 2.0 available in Colorado! See our website for all of our in-stock inventory https://t.co/uRt6bPZ47C. Let us know if you're interested. 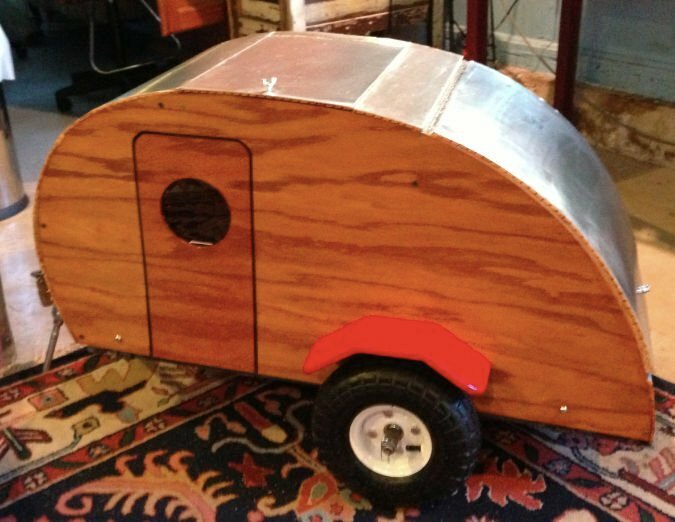 For instance, you can be the maker of a teardrop trailer if you want to take the time and the effort to build your own. Specifically, if you want a trailer that can be customized to your specific needs and preferences. Fortunately, there is a wealth of information posted online that can guide you through the process of designing it from start to completion. So, the amount that you pay for this type of trailer can vary greatly based on the customization, tools and the resources needed to complete it. 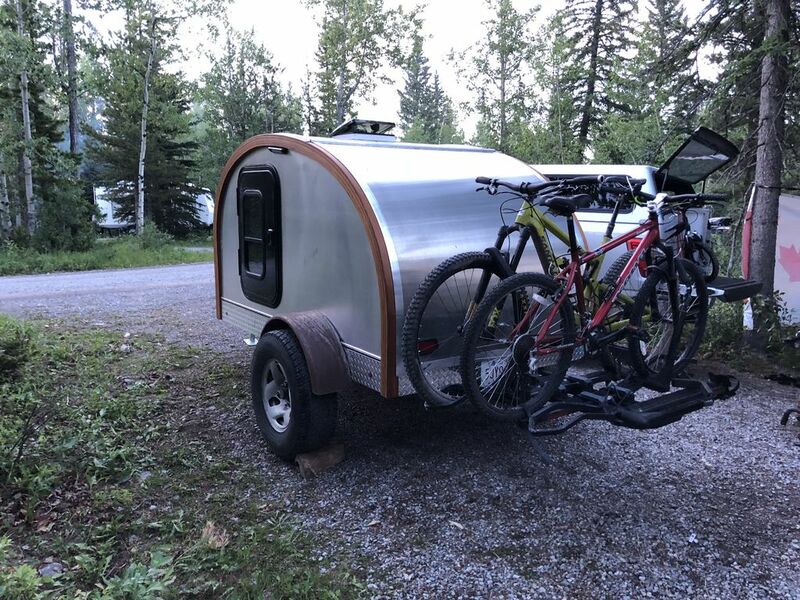 On the other hand, if you do not have the time or interest in building your own custom teardrop small mobile carrier, the next best option is to seek out an affordable trailer from a retailer or manufacturer that sales them. Again, the prices for these trailers can vary significantly from one style, design, customizations and manufacturer to another so it is essential to select the best option that will meet your financial needs and your featured options. Additionally, based on price research, these trailers can range up to $20,000 and more. However, for anyone who is on a budget and wants to avoid the hefty tens of thousands price, you can find a camper that is available for as little as $5,000. 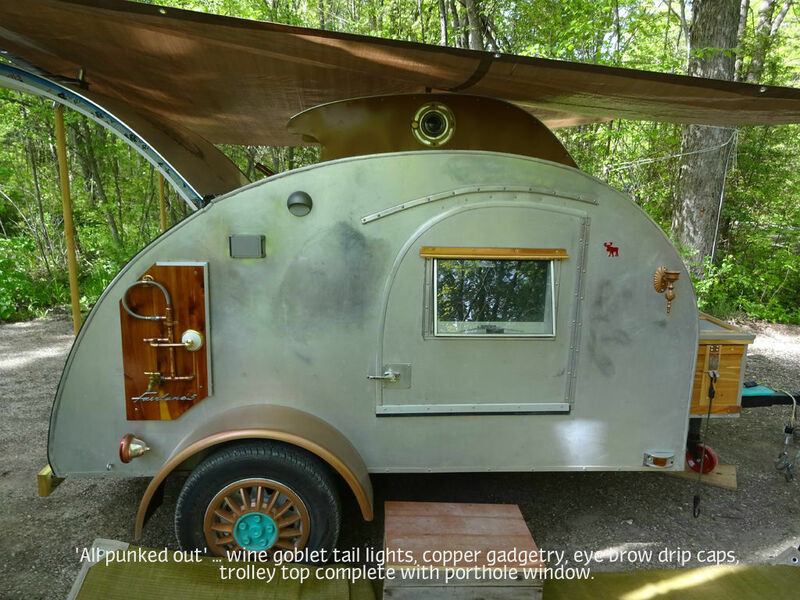 Finding the best teardrop trailer for your camping trip does not have to be difficult. This is especially the case for those people who are looking online for those trailers that have been listed for sale. Typically, once you have found the type and styles that you want, you can make your selections based on the price and the features that you are looking for. For instance, if you are looking for a discounted price, you should visit this Colorado-based seller’s site. This online business offers a wide variety of financial options for securing this trailer including offering rentals in different models. Finding the best trailer that will fit your needs is not always as simple as some people may think. In fact, even if the buyer finds some on sale, they may be too costly for their budget. Fortunately, there is more than one option for those who really want to take one with them on their next camping trip, which is designing your own from a do it yourself solution. 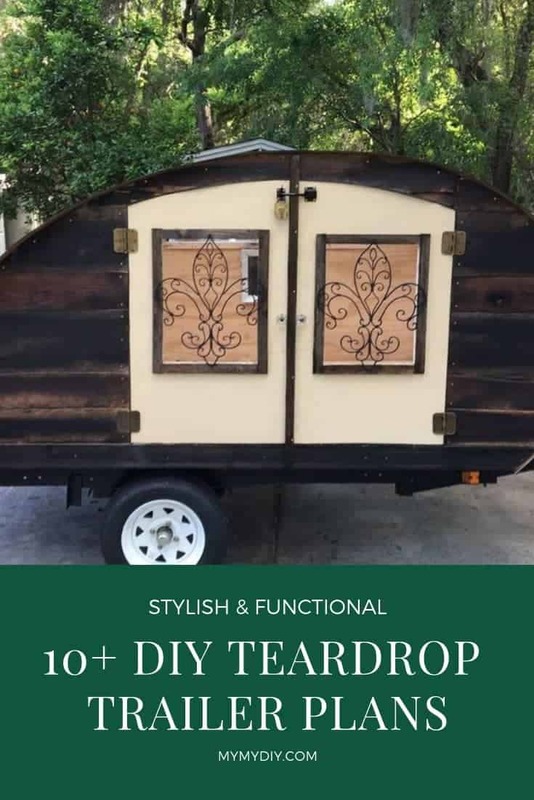 For instance, you can build your own with a teardrop trailer kit that will fit your own requirements. To find the right types of kits, these can also be found online. When you know how you want to travel on your camping trip and what you will need to make it more convenient, you can decide which type of trailer will suit your preferences. Since some of the pre-made trailers may not always incorporate enough storage space, a place to relax or the like, you may also have the option of using your own trailer plans for a custom build. For instance, when you are concerned about the weight of the trailer, you can choose plans that are aerodynamically built to save more on gas. Or, your main focus could be using plans that will concentrate on being aesthetically pleasing to the eye as well as possessing enough storage space to camp for several days or more. 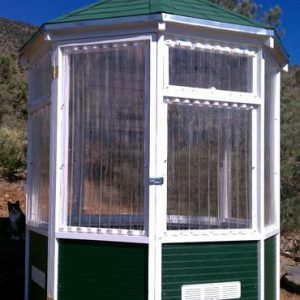 The plans that you choose can range from basic designs to including portable potties that can be stored away. MyMyDIY.com is a participant in the Amazon Services LLC Associates Program, an affiliate advertising program designed to provide a means for sites to earn advertising fees by advertising and linking to amazon.com. As an Amazon Associate I earn from qualifying purchases.